Guys, I consider myself a pretty intelligent person. I just received my graduate degree, I read all the time, and I can discuss a wide range of subjects. But I didn't understand the ending of Veronica Roth's Insurgent. 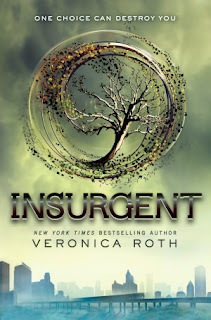 When I finished the book, I had to search on the internet, asking, "What happened at the end of Insurgent?" so I could read a bunch of teenagers' thoughts. Once I realized that I did understand, my question changed to, "Who cares?" I know they are teenagers, but I wish that Tris and Tobias could just sit still and discuss their issues. Neither listens to the other and they are frequently dishonest, which is frustrating. Nobody is interested in hearing about other people's dreams. Unfortunately, that is what the simulations boil down to, so I wish there weren't as many of them. People keep saying that the end was such a big reveal, but it didn't really phase me. I still want to know how the series wraps up, but not as urgently as I was looking forward to this one. It's worth reading, but doesn't compare to the wonder of Divergent. I think you are correct here. 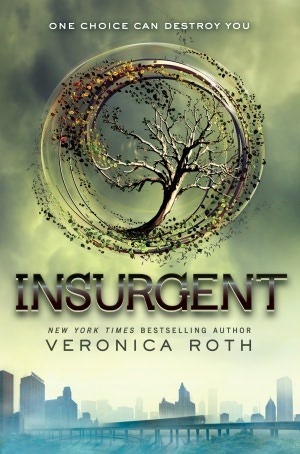 There were some things that I envisioned happening differently, and Tris and Tobias' relationship seemed a bit stagnant.